Richard Fitzgerald was born in County Waterford, Ireland in 1838. After immigrating to the United States, he worked as a fireman prior to serving in the army. He was enlisted into the General Mounted Service by Lieutenant Magruder in Baltimore, Maryland on January 20, 1859. His enlistment documents describe him as 5’ 10” tall, with brown hair, hazel eyes and a ruddy complexion. At this period, the General Mounted Service meant assignment to the Cavalry School at Carlisle Barracks, Pennsylvania and various recruiting assignments. 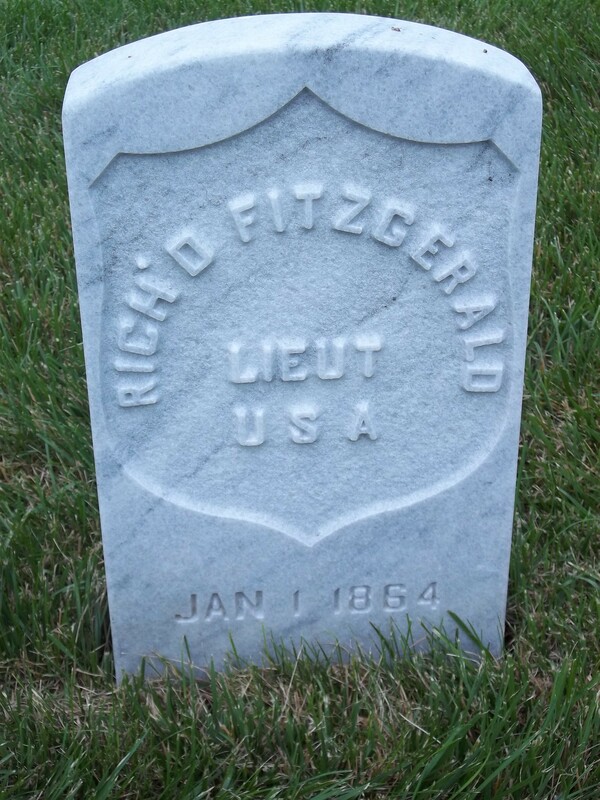 Fitzgerald rose through the enlisted ranks, and was serving as a first sergeant in the permanent company at Carlisle Barracks service when he was appointed a second lieutenant in Company I, 5th U.S. Cavalry on November 7, 1863. Lieutenant Fitzgerald joined his regiment at Mitchell’s Station, Virginia the following month. He served there through the winter and spring, including skirmishes at Barnett’s Ford, Charlottesville, Stanardsville, and Morton’s Ford. Although assigned to Company I, he spent very little time there. He was on special duty commanding Company E from January to March, then shifted to Company M in April as the spring campaign began. He led his company ably in the Overland Campaign and Sheridan’s two raids toward Richmond. 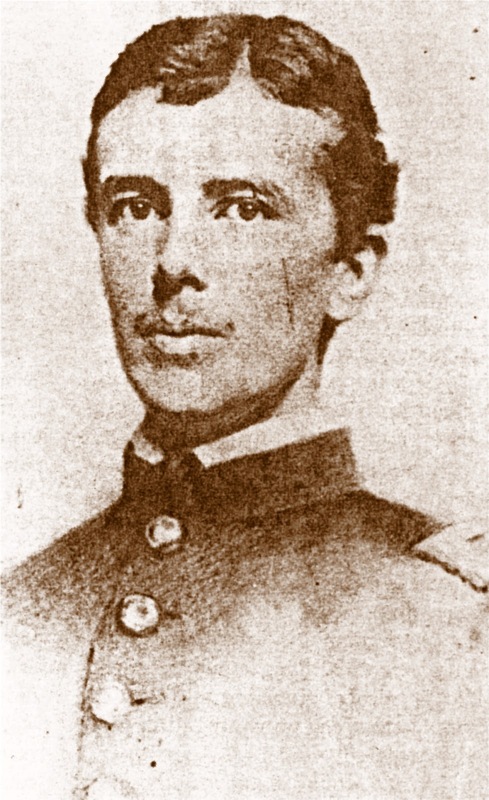 He was promoted to first lieutenant in Company I on June 12, 1864, replacing former sergeant major Joseph P. Henley when he was killed at Trevillian Station. 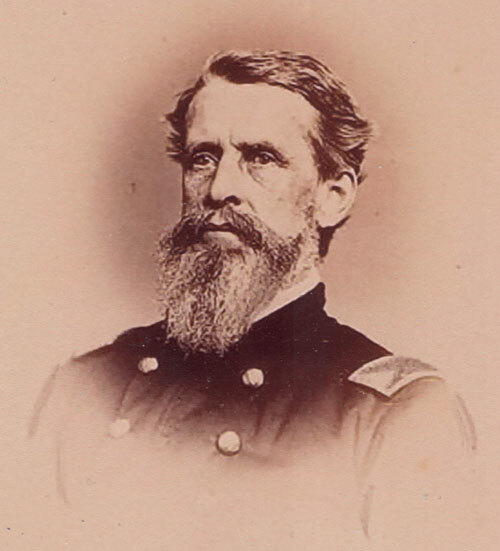 Fitzgerald continued to command Company M as the regiment was transferred to the Shenandoah Valley. 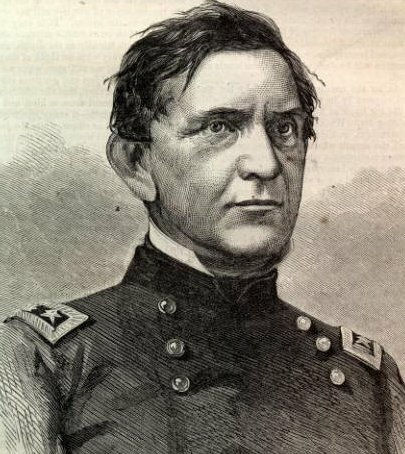 Lieutenant Fitzgerald led his company well in the near constant skirmishing that comprised the first month of the campaign. During the battle of Opequon on September 19, 1864, “he was killed while gallantly leading his company in a charge against the enemy.” He is buried in the military cemetery at Winchester, Virginia. Heitman, Francis B. Historical Register and Dictionary of the United States Army. Washington: Government Printing Office, 1903. Page 268. Henry, Guy V. Military Record of Civilian Appointments in the United States Army, 2 volumes. New York: George W. Carleton, 1869. Volume 1, page 152. Price, George F. Across The Continent With The Fifth Cavalry. New York: D. Van Nostrand, 1883. Pages 507-508. The Last Battle of Winchester: Phil Sheridan, Jubal Early, and the Shenandoah Valley Campaign, August 7 – September 19, 1864. In The Last Battle of Winchester, author Scott Patchan provides a comprehensive examination of the actions leading up to and including the pivotal battle of the Shenandoah Valley campaign. Painstakingly researched, yet fast-paced and vividly written, I found it thoroughly enjoyable. I’m always interested to see the evolution of a writer if I’m fortunate enough to read several of his or her works over time. I enjoyed Patchan’s Shenandoah Summer (and reviewed it here), but to me this book was written on a higher level. The author masterfully weaves an engrossing narrative on several levels simultaneously. The book, as advertised, is indeed a battle history – over 200 pages address the battle itself. Throughout the story, however, Patchan keeps the reader aware at all times of the larger context: within the campaign in the valley, within Grant’s overall strategy in Virginia, and within Lincoln’s political reality with an election looming. Grasping this context is critical to understanding the battle and the campaign. That he is able to do this while not bogging down the story is a tremendous feat. I found the author’s coverage of the campaign very evenhanded. He went out of his way to provide a thorough yet unbiased groundwork for the narrative. I thought Early received a fairer treatment of his accomplishments prior to the battle than I had seen in other works. Similarly, Sheridan’s caution before the battle and aggressiveness following it made much more sense to me after reading the book. Patchan’s research is as enlightening as it is intimidating. He obviously has spent years both researching the campaign and walking the ground on which it was fought. His use of primary sources is remarkable, both for their sheer number and the way he weaves them into his narrative. The descriptions of individual actions and combat at the regimental and company level bring the battle to life for the reader. Cudos to Savas Beatie for using footnotes instead of endnotes. Given the author’s extensive use of soldiers’ quotes to describe the action, footnotes greatly contributed to the book’s readability. And since I’ve mentioned the publisher, I must add that the book is of excellent quality and well worth the cover price. Hal Jesperson’s maps are both detailed and plentiful, something all too seldom seen in battle and campaign studies. I’ve previously found operations in the Valley confusing and difficult to follow, but in this book a map to orient myself was never more than a few pages away. They provide a great support to the narrative. Extensive citations, seven appendices and a bibliography over twenty pages long should satisfy even the most demanding reader or researcher. Many of the primary sources appear to be previously unpublished. This book provides extensive coverage of every move leading up to and including the battle itself. I think anyone interested in this campaign or the Civil War would appreciate the book, and it is essential for the library of anyone seriously interested in operations in the Shenandoah Valley during the war.